It’s survey season amongst charities in Australia. MS Queensland offers a chance to win a prize for survey participants. 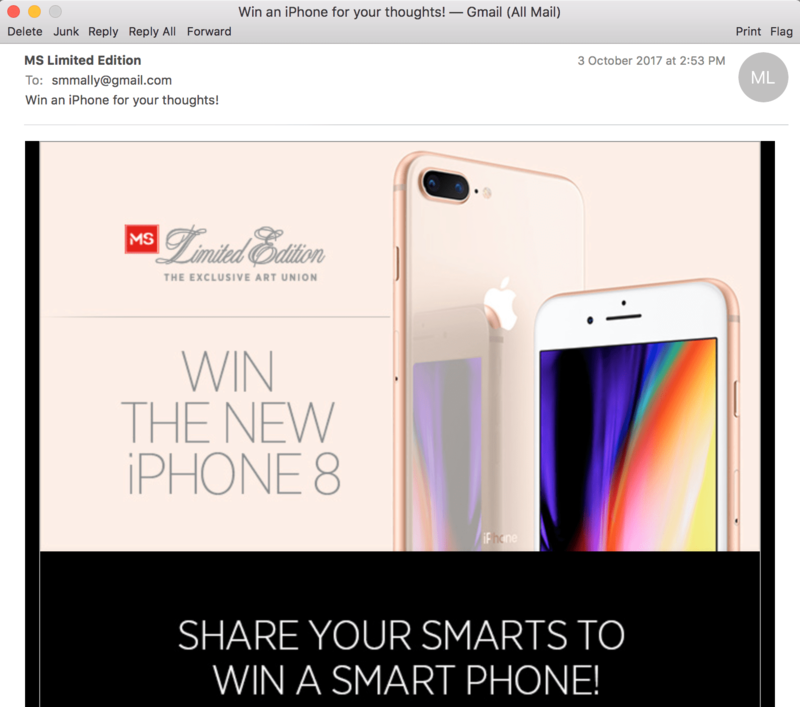 The prize is an iPhone 8. Prize offering for survey participation is not a common thing in Australia. 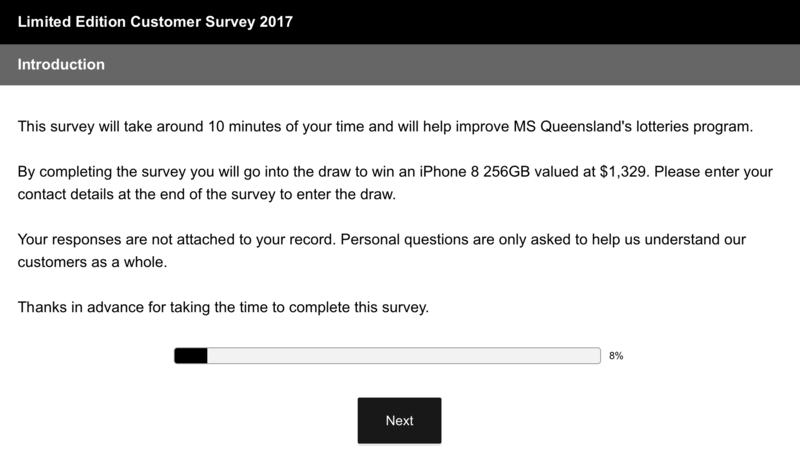 It makes sense for MS Queensland to offer such a prize as an incentive to participate in the survey. The survey is about their car lottery and, thus, recipients of the survey are used to taking a bit of a gamble each and every month. The ~20 question survey asks specific questions about the brands and value of prizes and also whether you’d be interested in donating to MS Queensland beyond the prize lottery. There a few a few demographic questions near the end the survey. The survey is conducted on the Survey Monkey platform. The only disappointed I had about this creative survey from MS Queensland is the organisation did not ask me to confirm, edit, and enhance my contact details. I am asked at the end for my name, email address, and mobile phone number; however these details are requested only fro the prize draw. I wish MS Queensland had taken the opportunity to ask me to CEE my contact record in the constituent relationship management (CRM) system. MS Queensland has conducted surveys in the past specifically focused on importance to CEE every record. Overall, a fantastic experience end a great way for MS Queensland to seek the opinion of its lottery purchasers.